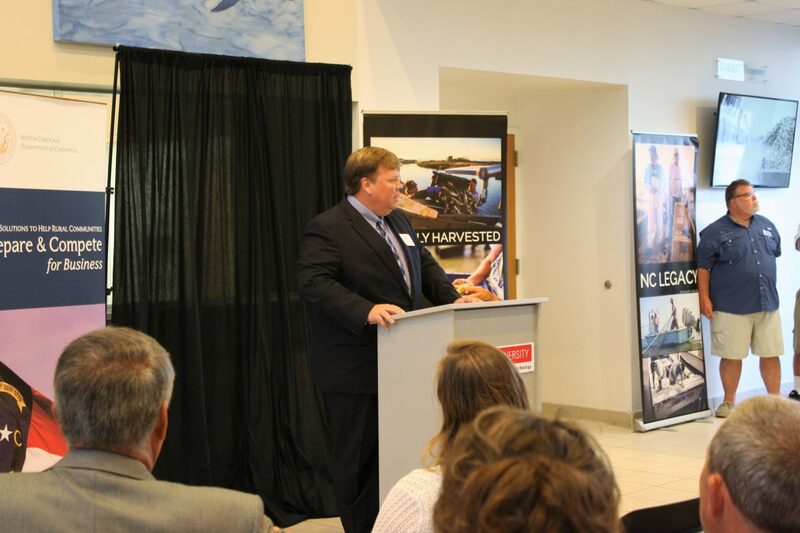 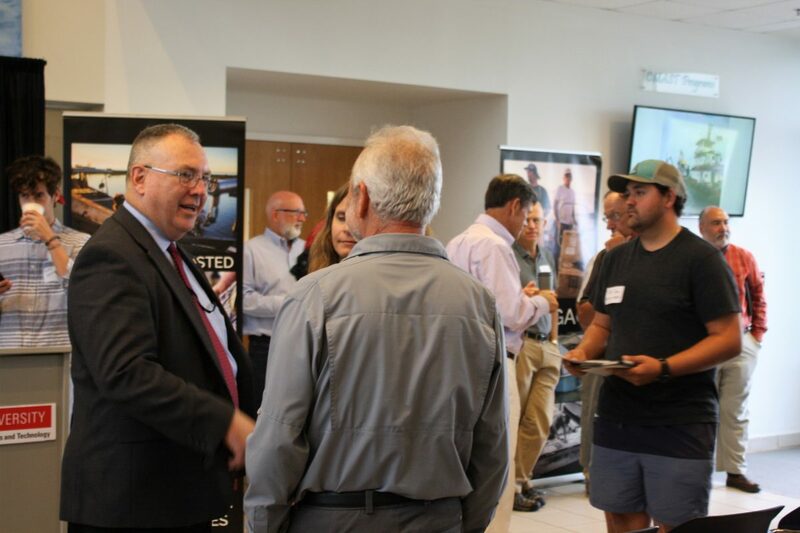 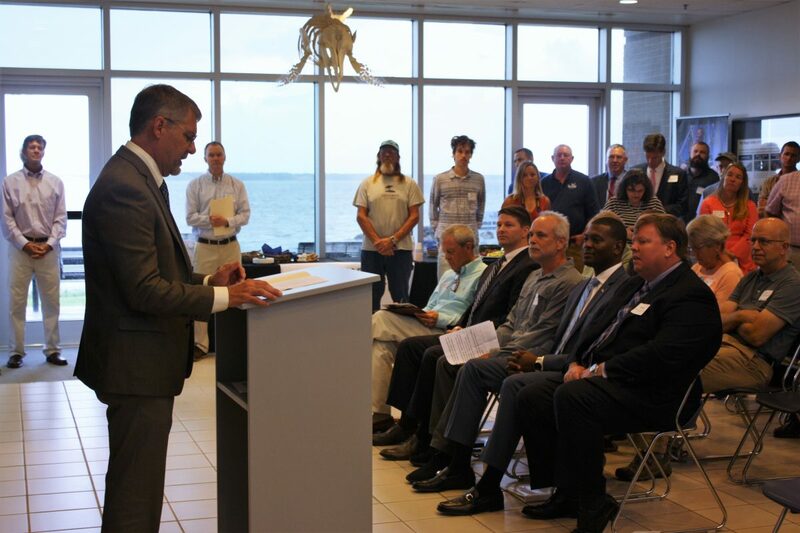 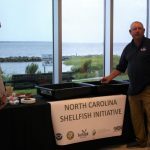 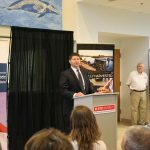 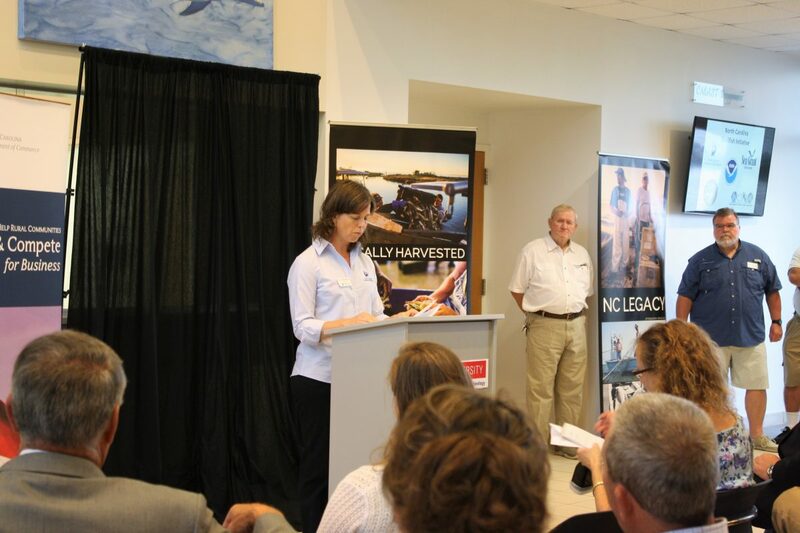 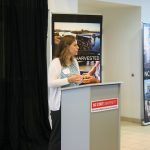 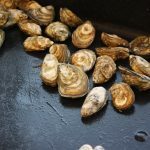 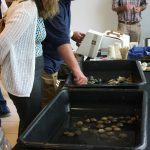 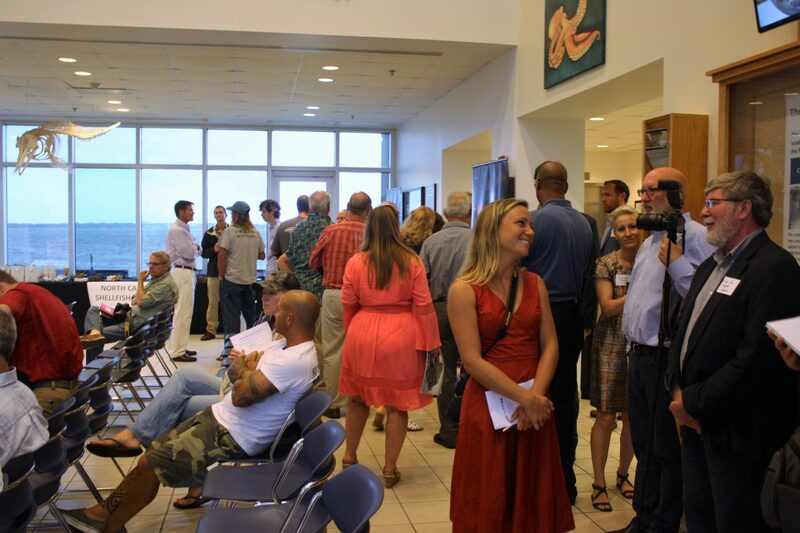 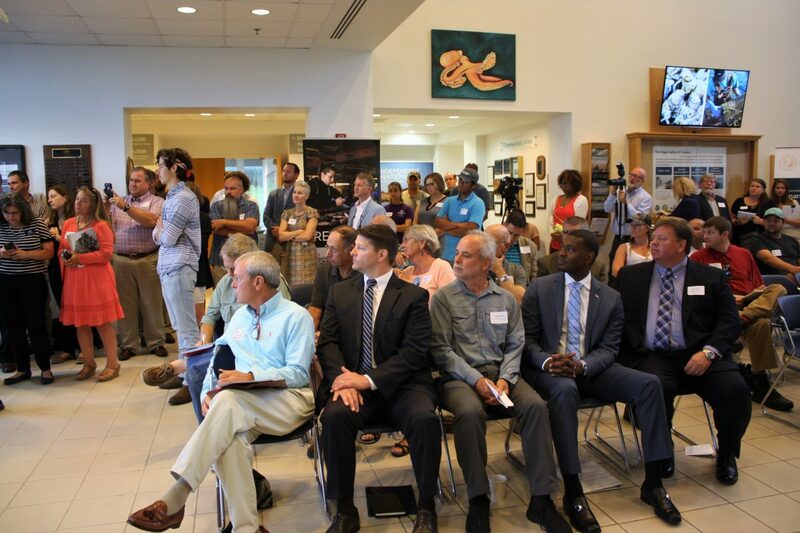 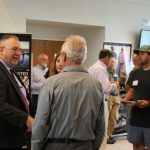 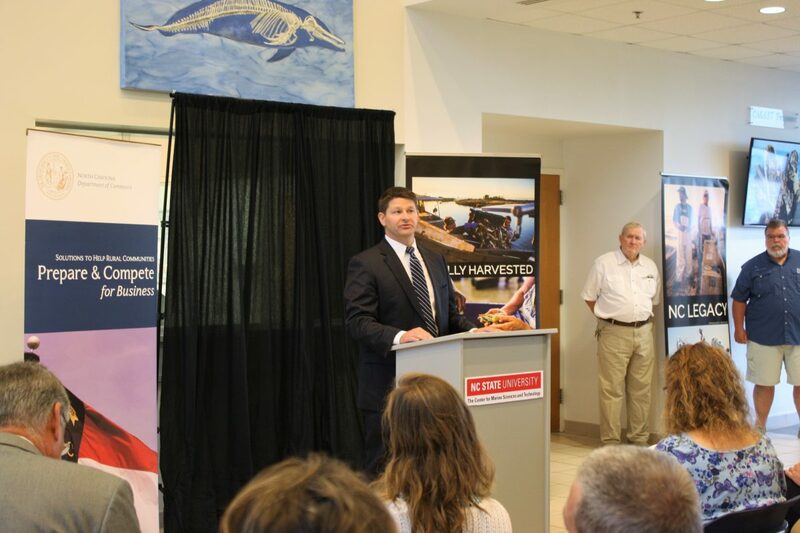 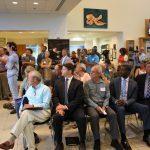 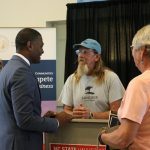 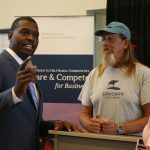 North Carolina becomes the first state in the Southeast and sixth in the nation to launch a state Shellfish Initiative as state officials made the announcement on Aug. 2 at a public event at N.C. State University’s Center for Marine Sciences and Technology. 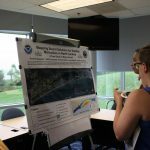 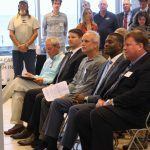 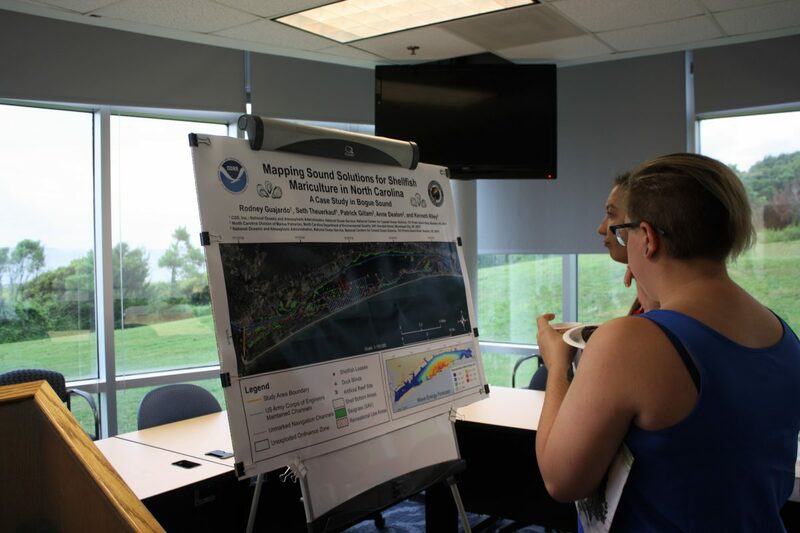 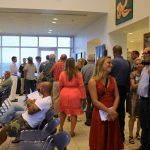 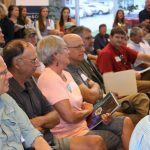 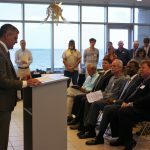 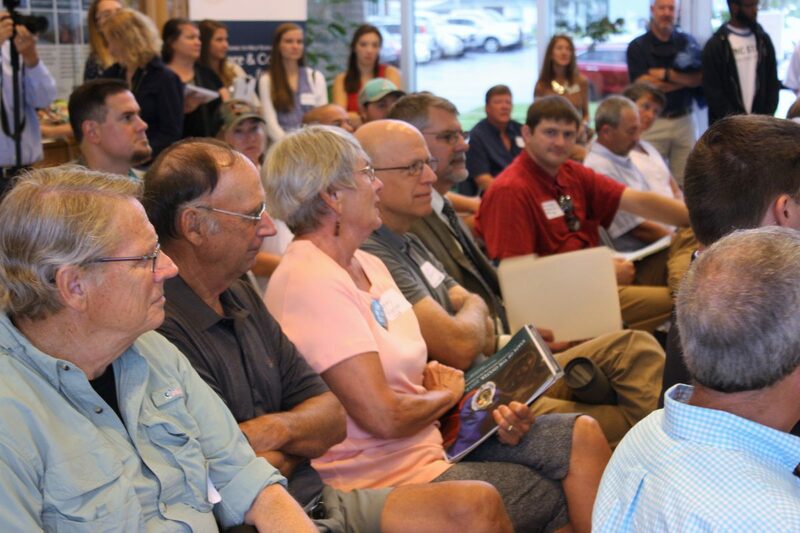 Approximately 75 people attended, including scientists, state agency employees, students and watermen. 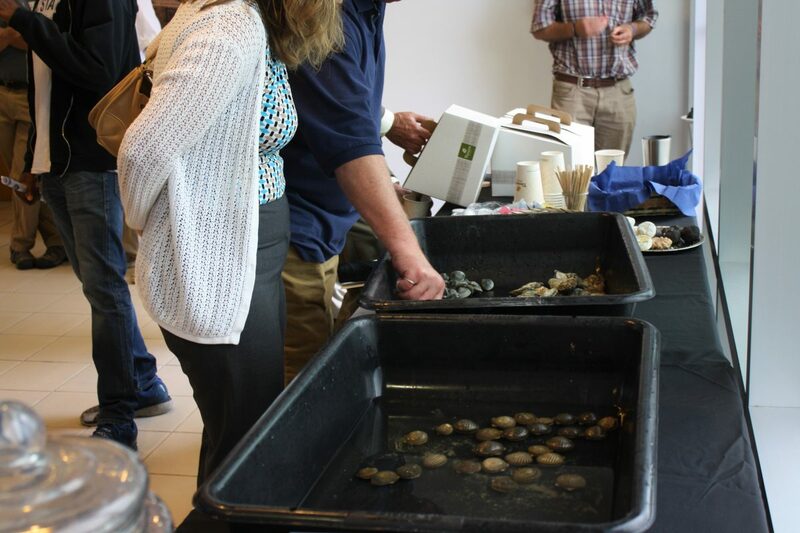 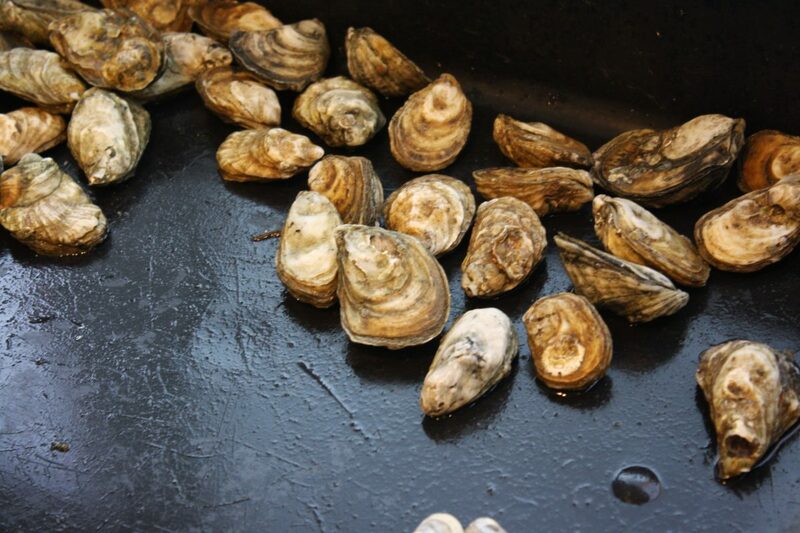 The state Shellfish Initiative is modeled after the National Shellfish Initiative, a program led by the National Oceanic and Atmospheric Administration to demonstrate the social, economic and environmental importance of shellfish. 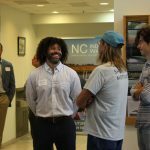 North Carolina’s prioritizes four goals: job creation, protection of water quality, protection of shellfish health and sustainable management. 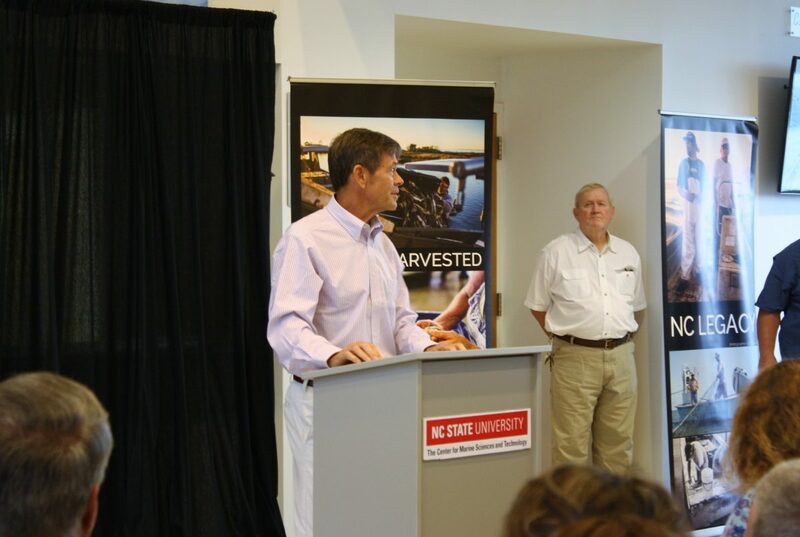 This initiative will help leverage existing partnerships and make North Carolina more competitive for federal funding. 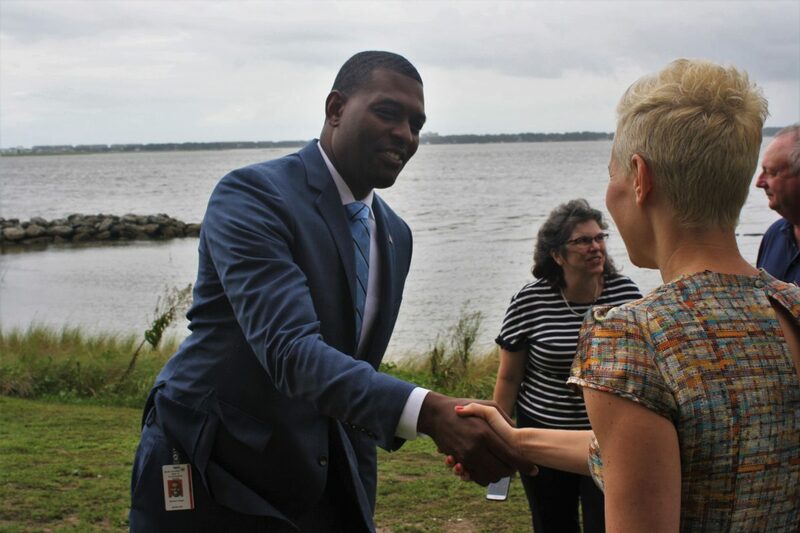 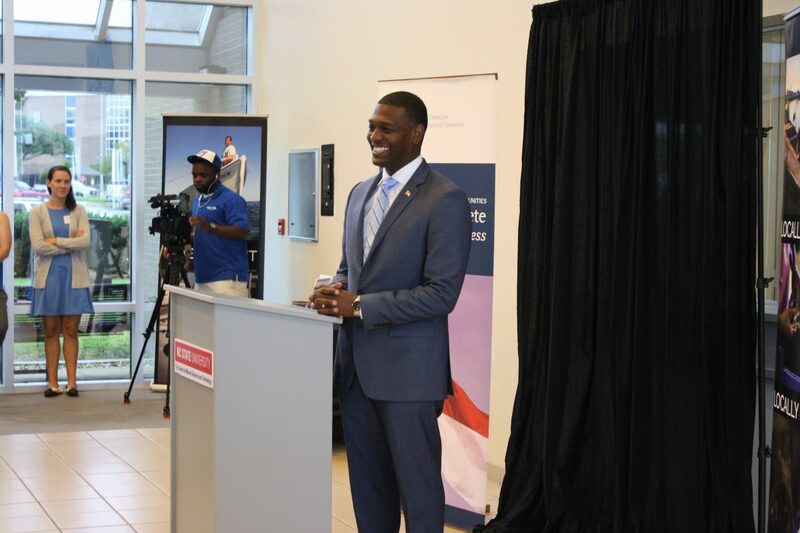 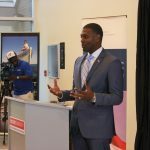 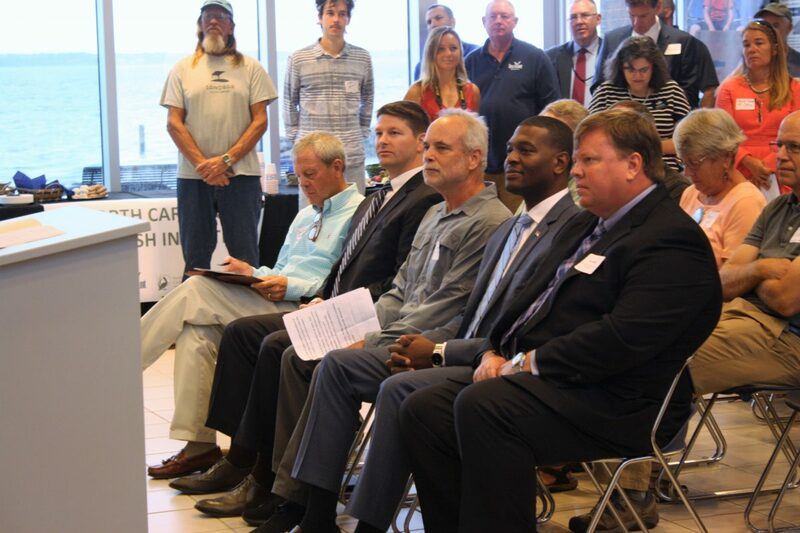 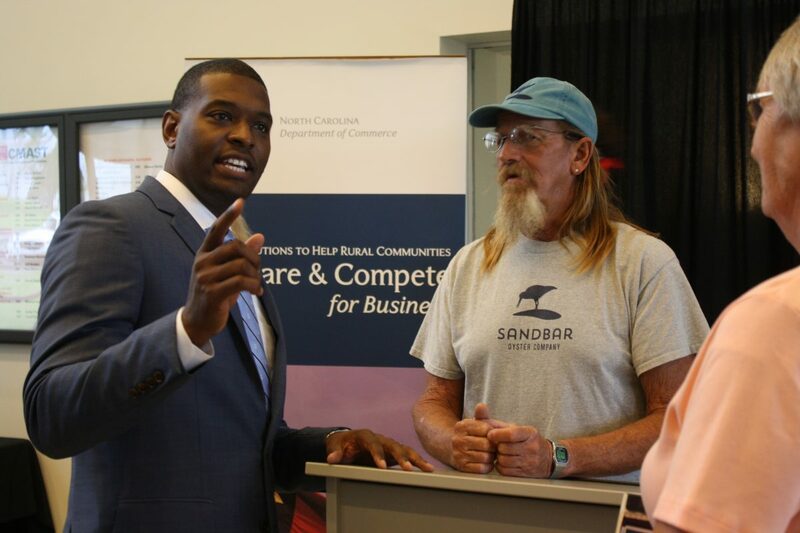 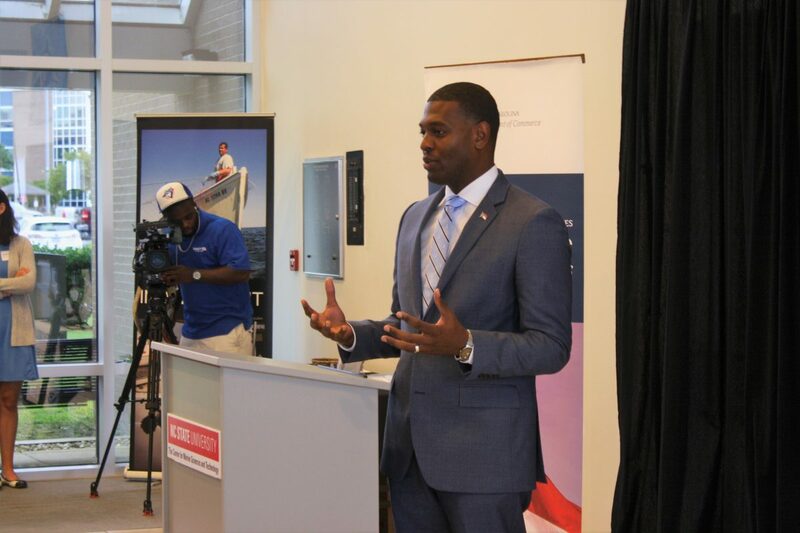 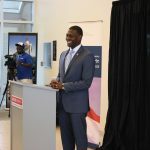 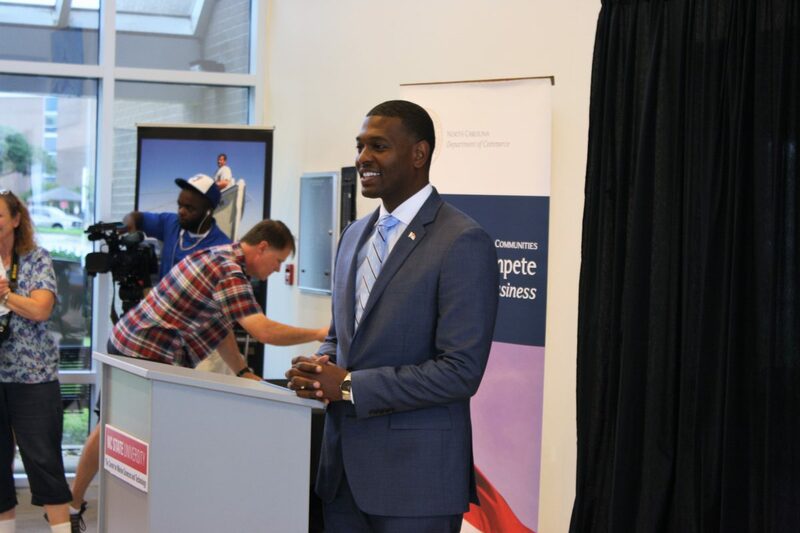 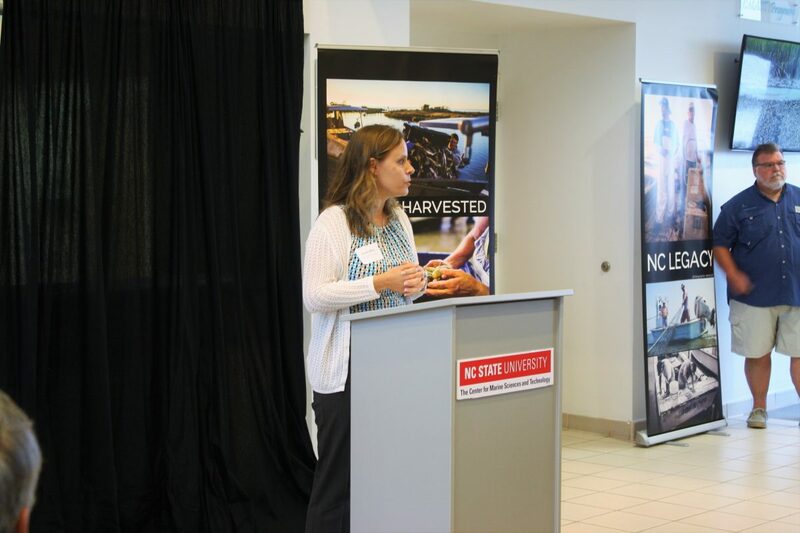 “Our partnership brings national attention to the state of North Carolina,” said Michael Regan, secretary of the North Carolina Department of Environmental Quality. 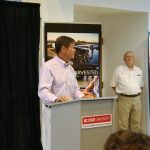 Regan made the official announcement about the Shellfish Initiative, stressing how it will advance ongoing work to strengthen the state’s economy while restoring coastal water quality and habitat and supporting sustainable seafood. 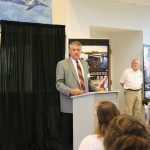 He also reiterated Gov. 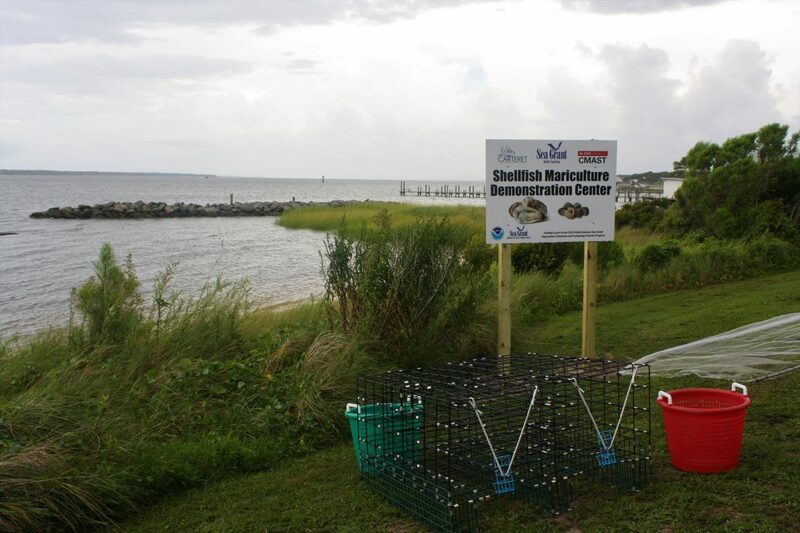 Cooper’s support for advancing shellfish restoration and mariculture. 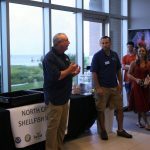 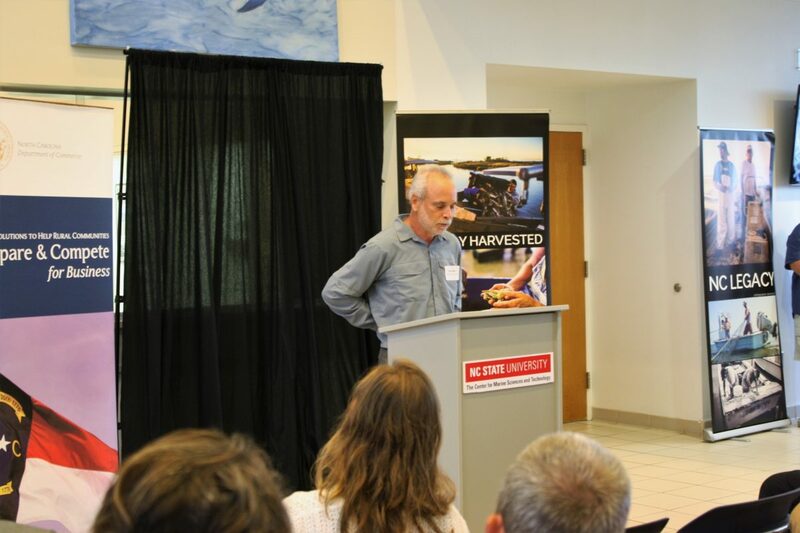 Will Best, special projects coordinator at the North Carolina Department of Commerce, also spoke about the importance of shellfish to the state’s economy, noting that the 2017 farm gate shellfish mariculture value is almost double what it was the year before. 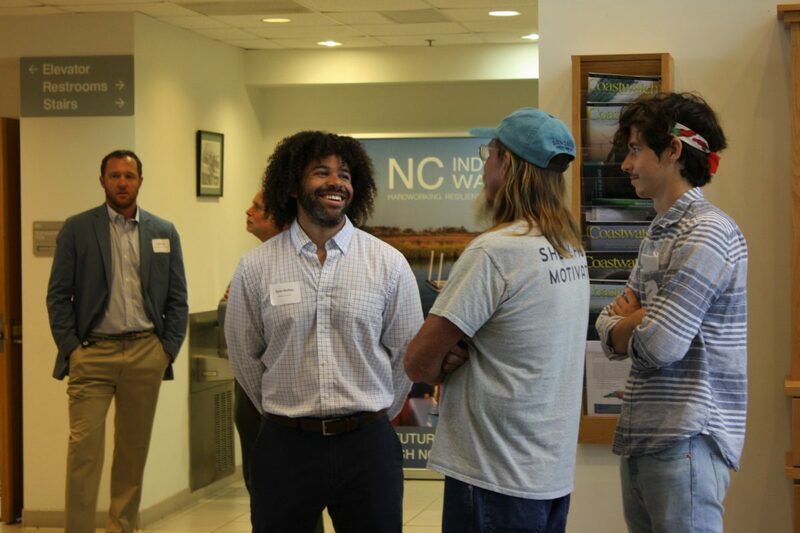 He also pointed out that the Swan Island Oyster Sanctuary, which is primarily funded by a NOAA grant and the North Carolina General Assembly, created 56 jobs. 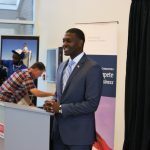 Sen. 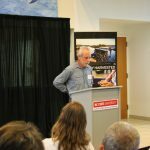 Norm Sanderson spoke on the General Assembly’s support of the Swan Island work as well as other shellfish restoration and mariculture. 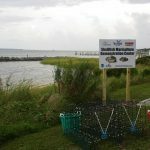 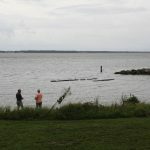 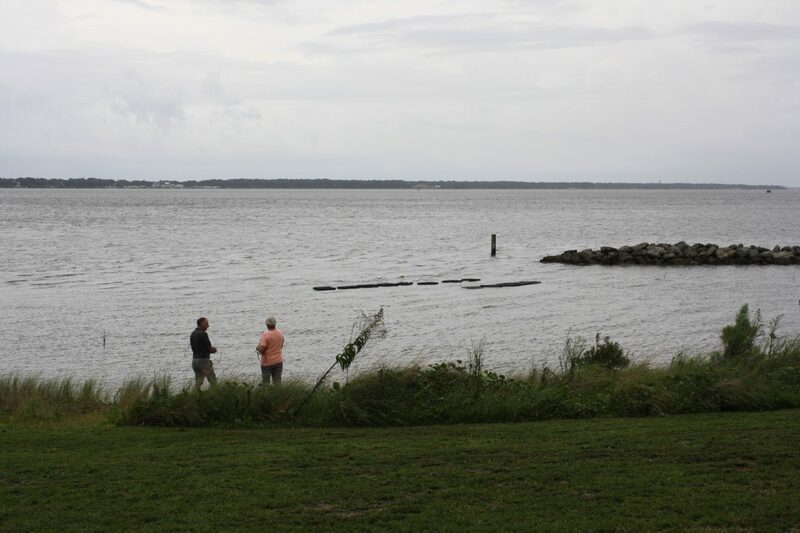 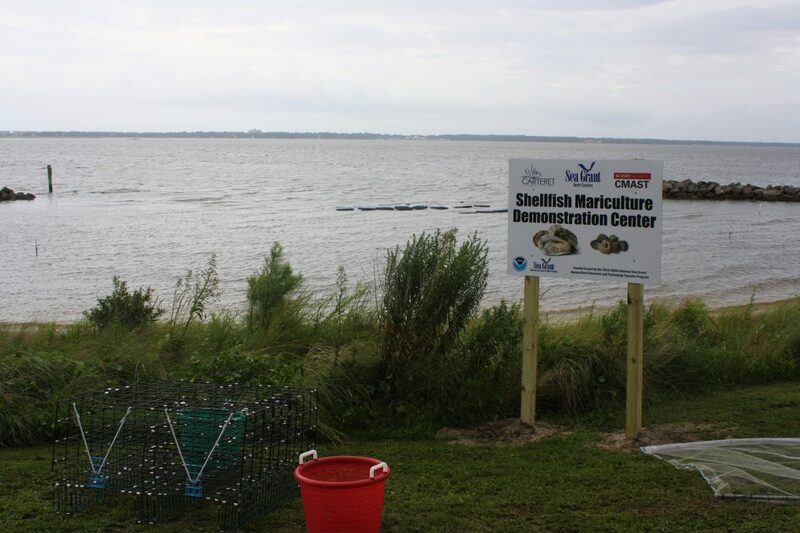 In recent years, the General Assembly has increased funding for oyster sanctuary work and cultch planting, as well as reopened of a water quality monitoring lab in Dare County and funded a new shellfish pathologist position. 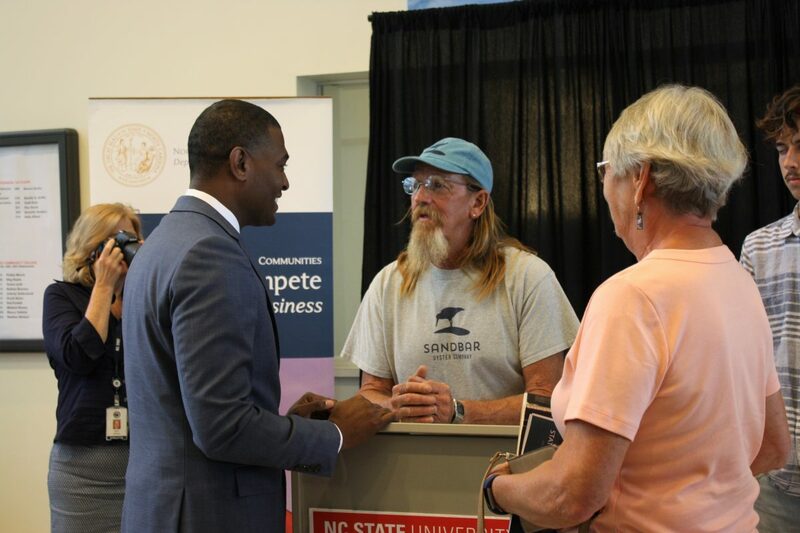 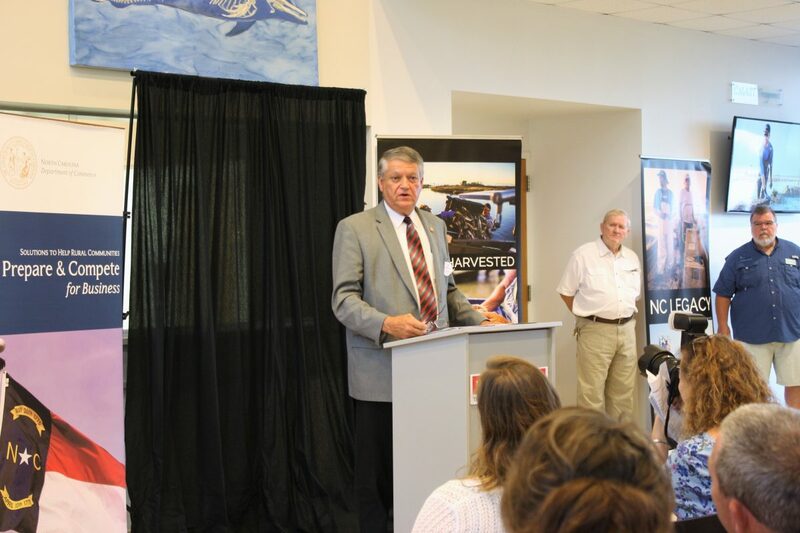 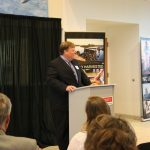 “This industry can become what I think everybody in this room knows it can become in North Carolina,” Sen. Sanderson said. 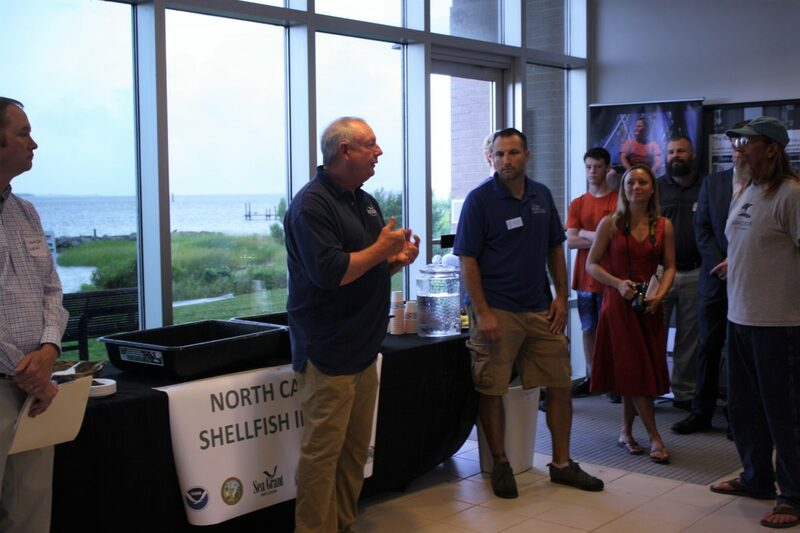 Dr. Ken Riley, marine ecologist at NOAA; Todd Miller, executive director of the North Carolina Coastal Federation; Steve Murphey, director of the North Carolina Division of Marine Fisheries; and Dr. Susan White, executive director of North Carolina Sea Grant, all spoke about how partners have worked together to advance shellfish restoration and mariculture in North Carolina, as well as about what’s next for the state. 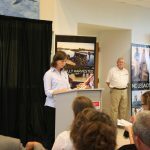 Erin Fleckenstein, coastal scientist and regional manager with the federation, made introductions and organized the event. 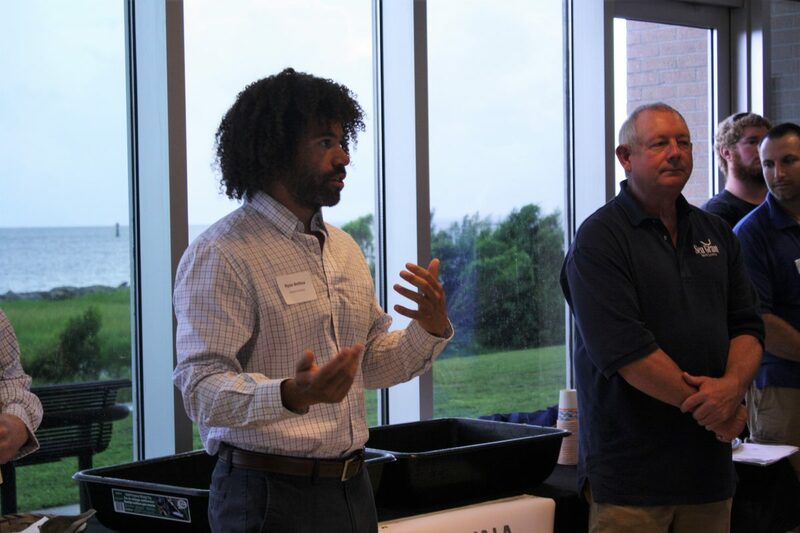 Due to rain, the rest of the program proceeded indoors. 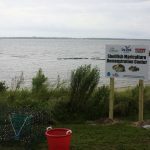 Dr. Chuck Weirich at Sea Grant and Dave Cerino from Carteret Community College gave an overview of the mariculture demonstration lease on the campus. 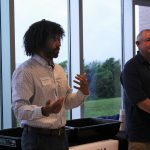 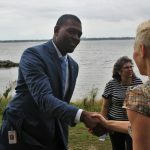 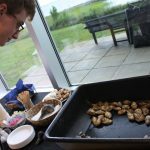 They, along with Ryan Bethea, who owns Oysters Carolina and graduated from the aquaculture program at the Virginia Institute of Marine Science, explained the importance of education to bring new people into shellfish mariculture. 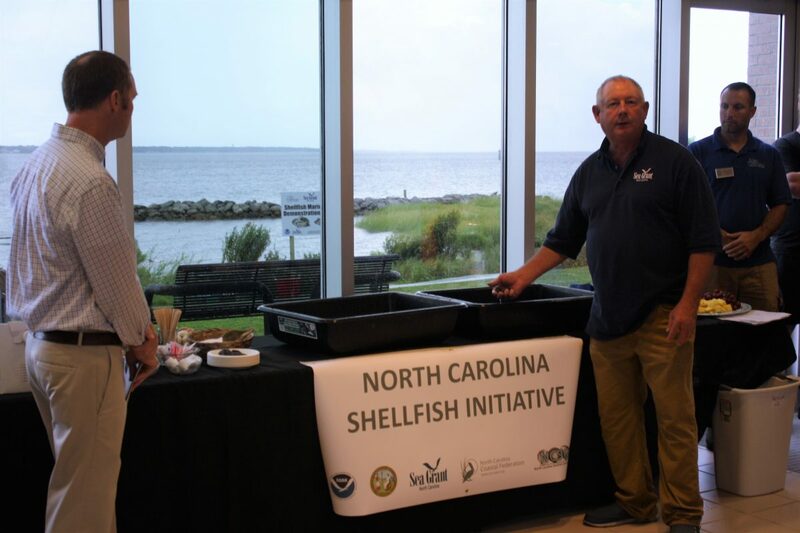 A summary of the North Carolina Shellfish Initiative is available here. 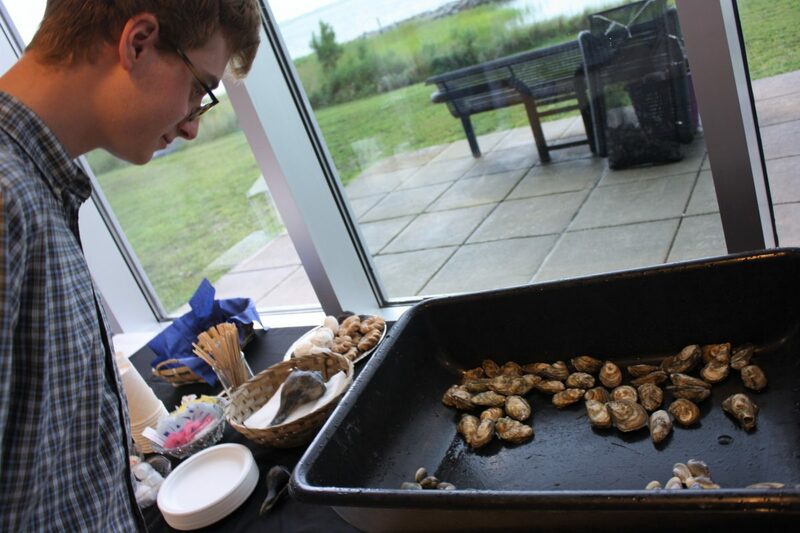 Learn more about all things North Carolina oysters at ncoysters.org and stay up-to-date by subscribing to On the Half Shell.